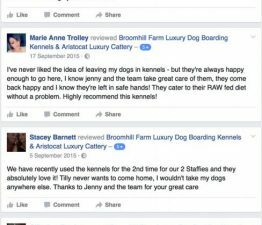 Luxury Dog Boarding Kennels Sheffield | Dog Boarding Kennels Chesterfield | Broomhill Farm Luxury Boarding Kennels is a beautiful Hotel and Country Club for V.I.P ‘four legged friends’. 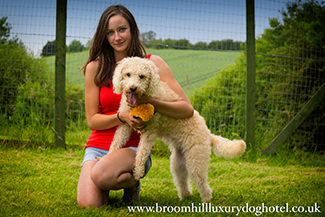 We are a small establishment, with your pet’s comfort, safety and happiness as our prime aim. 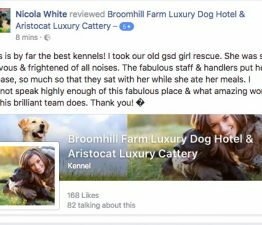 Broomhill Farm Luxury Dog Hotel is a beautiful Hotel and Country Club for V.I.P ‘four legged friends’. 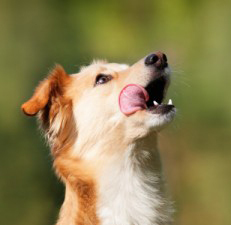 We are a small establishment, with your pet’s comfort, safety and happiness as our prime aim. 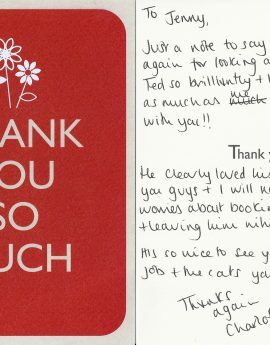 We are a beautiful Hotel and Country Club for V.I.P ‘four legged friends’. 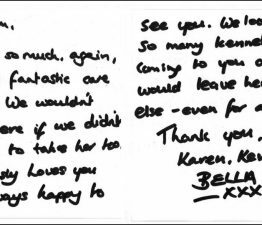 We are a small establishment, We have a 5 Star Rating by Chesterfield Borough Council licencing team, the highest rating possible. 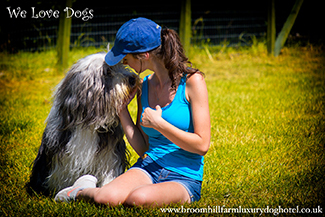 Your Dog's comfort, safety and happiness is our prime aim. 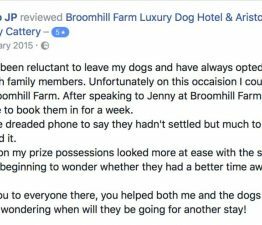 A little bit of ‘bribery and corruption’ is a feature of a holiday at Broomhill Farm, so we like to know your pets favorite titbit. 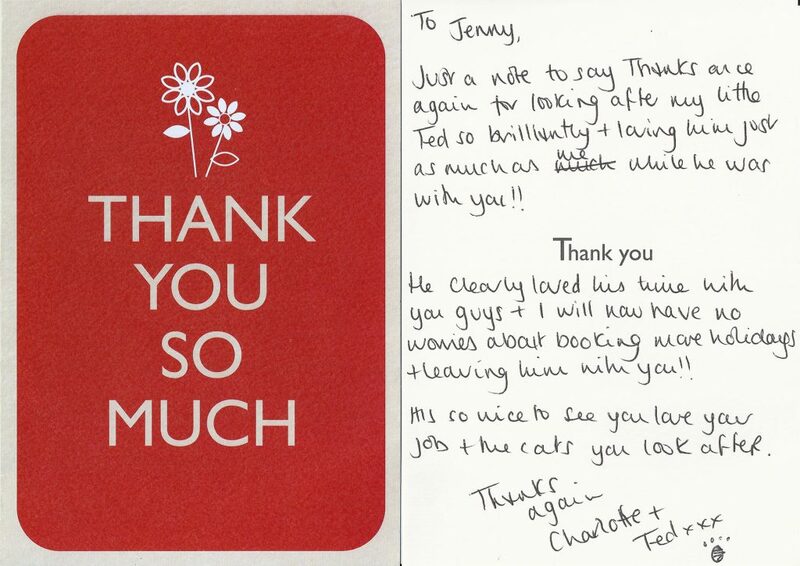 All our spacious, individual rooms are heated and kept spotlessly clean with quarry tiled floors and comfy beds. 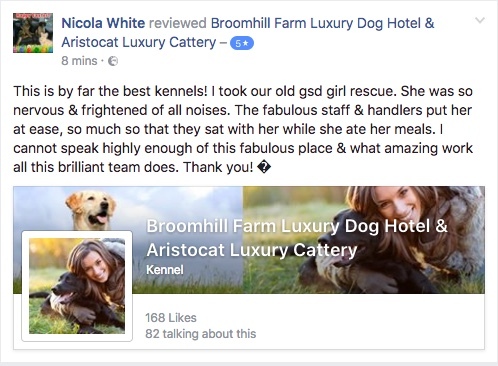 We take pride in our menus-all tastes and diets are catered for – from freshly cooked meat, chicken or fish, to exciting new natural diets such as Autarky and Nature Diet. You can also provide your own food if you wish. Goats milk & mineral water are also available. All our guests join us for a walk several times a day through our own pastureland. 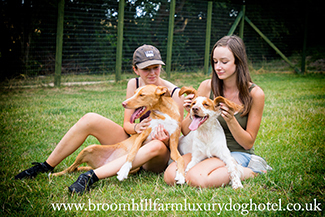 Each dog is walked individually unless from the same home. Happy exercise is essential and a beneficial and bonding part of the stay. 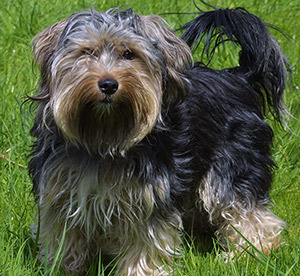 We tailor the walk to suit your dog – the senior citizens take us for a gentle saunter up the fields and we have access to longer footpaths for our younger and more energetic friends. 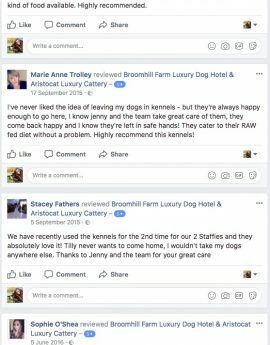 I've never liked the idea of leaving my dogs in kennels - but they're always happy enough to go here, I know jenny and the team take great care of them, they come back happy and I know they're left in safe hands! They cater to their RAW fed diet without a problem. 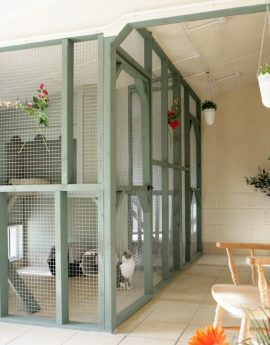 Highly recommend this kennels! 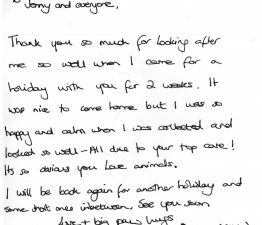 We have recently used the kennels for the 2nd time for our 2 Staffies and they absolutely love it! 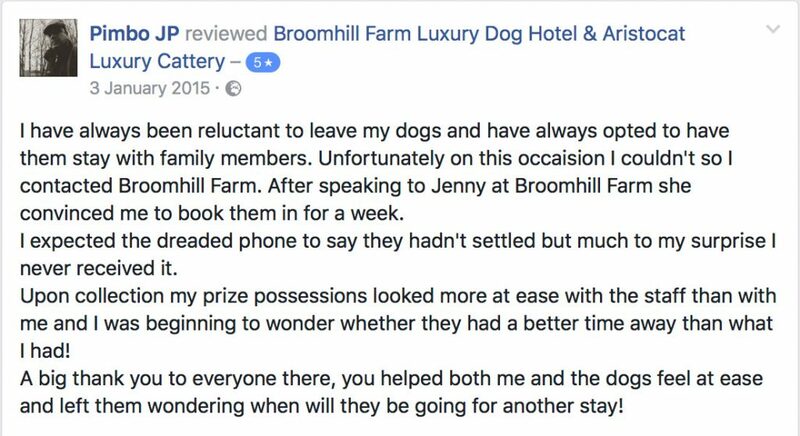 Tilly never wants to come home, I wouldn't take my dogs anywhere else. 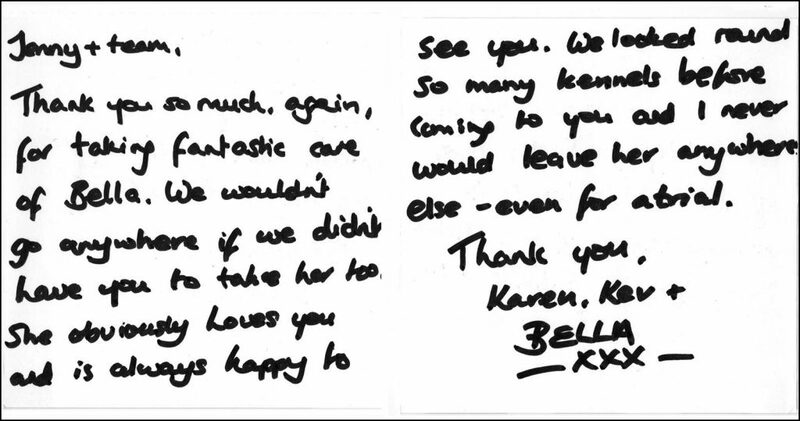 Thanks to Jenny and the team for your great care.